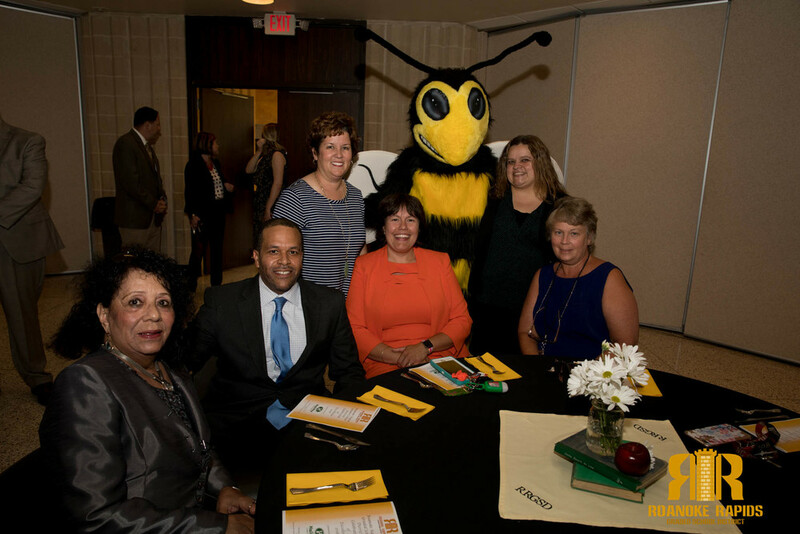 Dozens of Roanoke Valley businesses stepped up to celebrate local educators as part of the Roanoke Rapids Graded School District's Celebration of Excellence. The evening, which includes a dinner, honors outstanding principals, teachers, and support personnel. The even was held Tuesday night at the Kirkwood Adams Community Center. Halifax Linen was once again the title sponsor giving each winner $500 and Roanoke Rapids Savings Bank awarded each winner with a "Golden Apple Trophy". 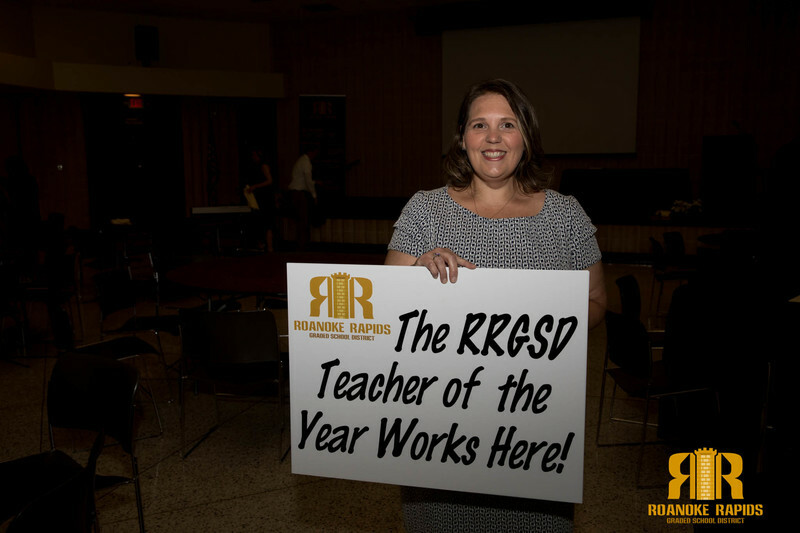 This year’s RRGSD Teacher of the Year also received a Chromebook for their personal use. thanks to Trinity 3 Technology. Free oil changes courtesy of Discount Tire Center. les atkins Photography/Atkins Ad Group donated a RRGSD polo for each of the educator nominees and winners. Halifax Convention and Visitors Bureau awarded the Teacher of the Year a $100 Gift Certificate to david’s Restaurant, a complimentary stay at Hilton Garden Inn, and tickets to Sylvan Heights. Kapstone prepared a gift basket for our Teacher of the Year winner with a $100 dollar gift card and a gift for each nominee. The RRGSD Teacher of the Year also received a gift card from First Citizens Bank. Car Detailing from Bone’s Toyota, Principal of the Year. Coffee Mugs and Gas Cards from New Dixie Oil. Also thanks to Lynch’s Office Supply, Logan’s Roadhouse, Texas Steakhouse, Maddrey Insurance, City Electric Supply, Belk Department Store, and Domino’s, Subway and Dairy Queen for their gift packs. "The community support for our school district has been overwhelming this year," said Lowell Rogers, Assistant Superintendent. 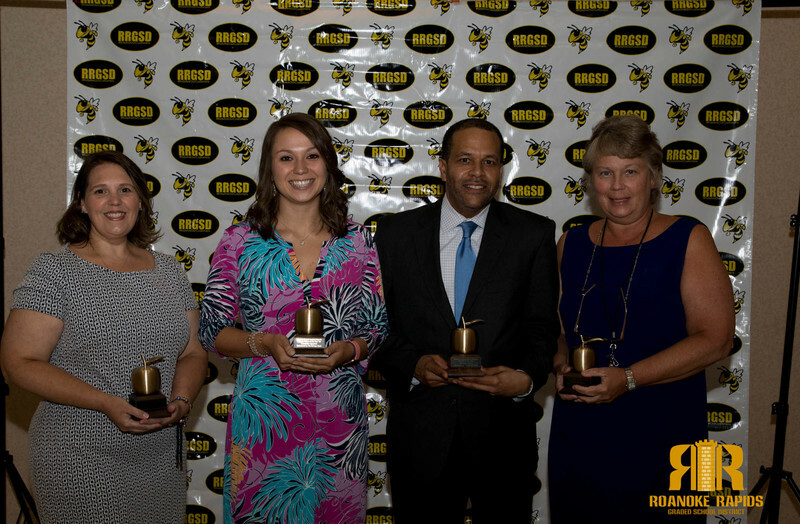 "We thank them once again honoring these outstanding educators as part of our Celebration of Excellence."